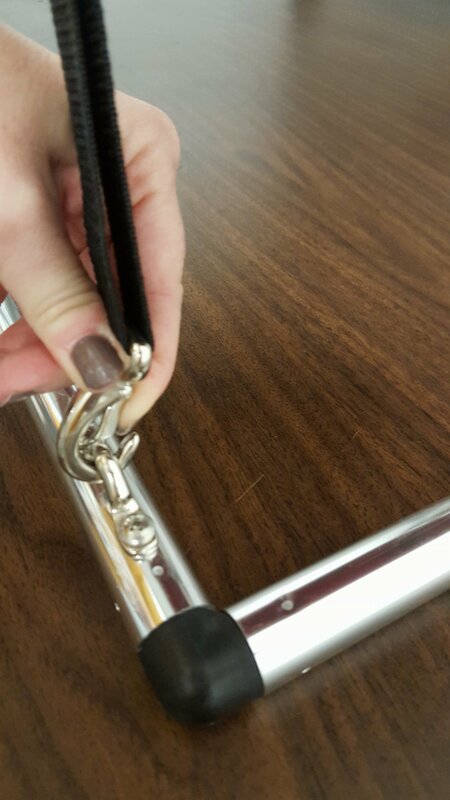 Open the Bimini up and clip in the front and rear hold down straps by attaching the snap hook to the eye straps. 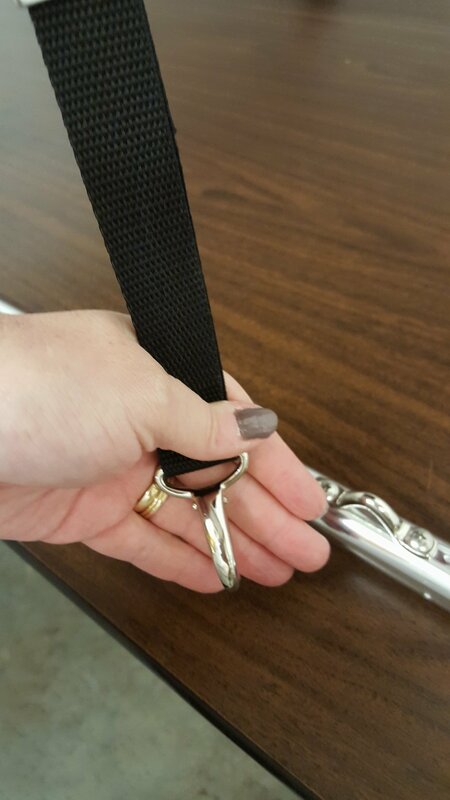 Adjust the hold down straps so that they are as tight as possible. 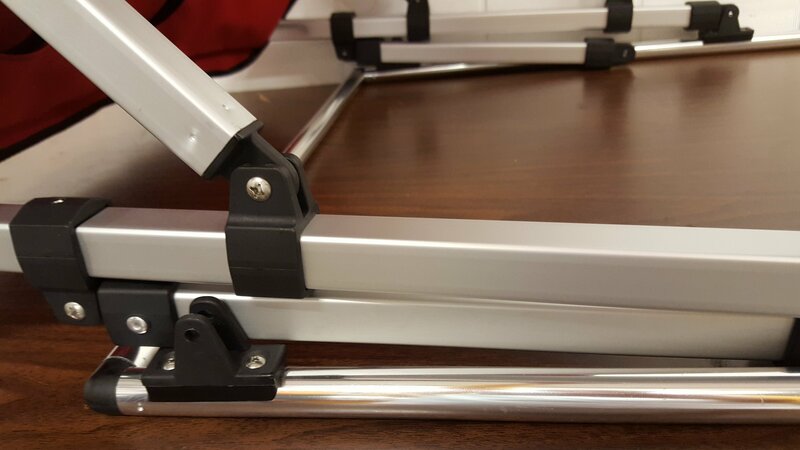 If you have installed a rear brace kit on your Bimini, ensure the brace kit is securely fastened to the deck hinges with a screw or quick release pins. 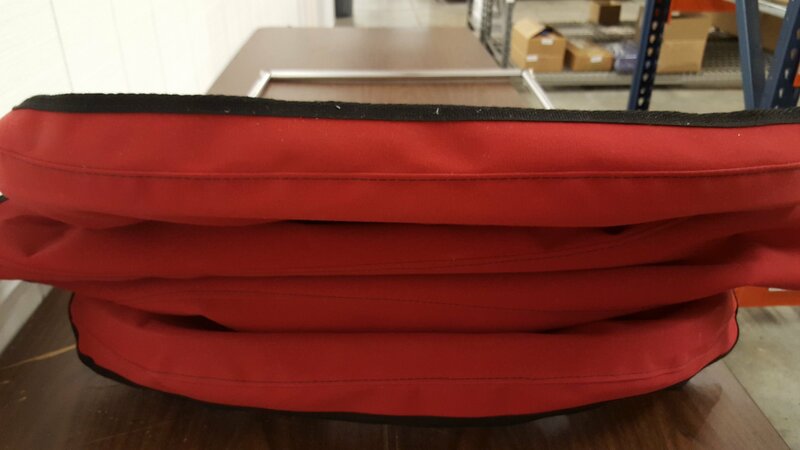 When you get ready to fold the top down, you just basically reverse the steps! 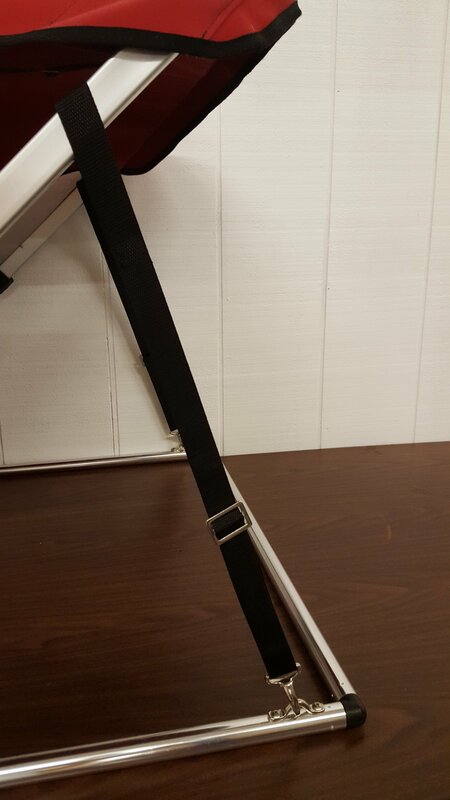 Unclip the front hold down straps. Fold the top backwards, taking care that the canvas folds in as wrinkle-free as possible. 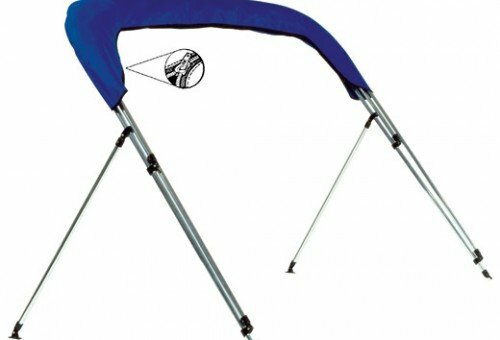 Place the storage boot securely around the Bimini so that the curve of the Bimini follows the curve of the boot and zip. 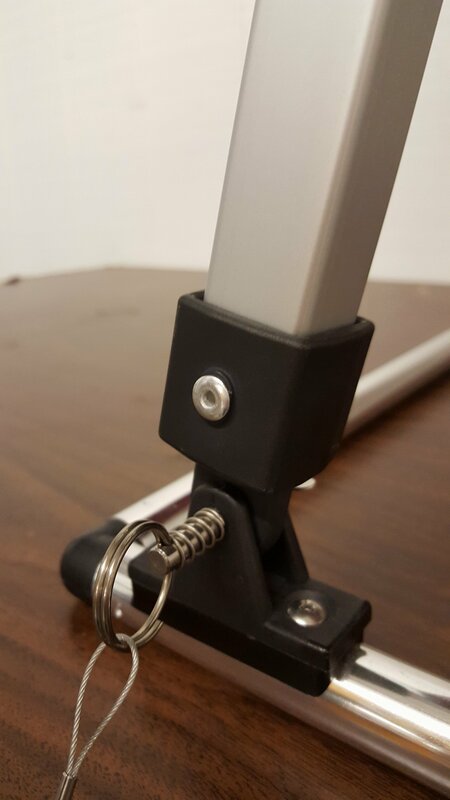 If you have a rear brace installed on your Bimini, you will need to remove the screw or quick release pin to allow the braces to lay flat for storage. If you are trailering with your Bimini straight out of the water, make sure to set the Bimini up once you get to your destination and allow the top to dry completely. 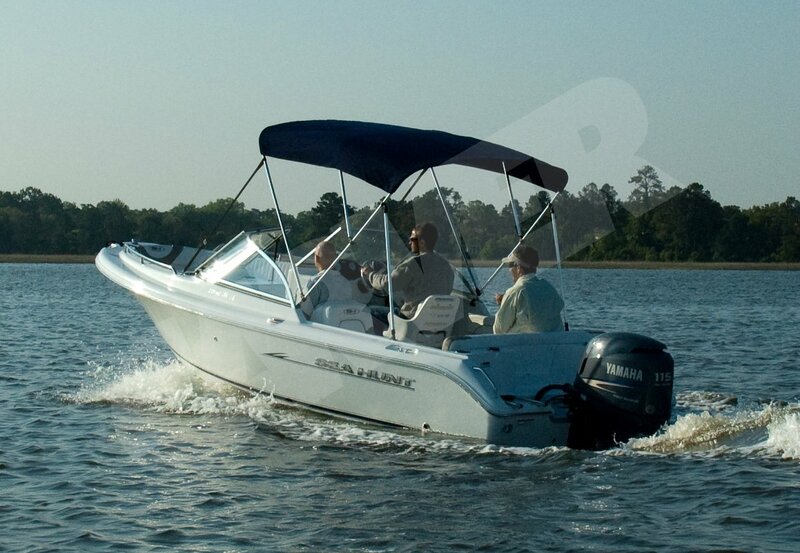 Automatic Bimini Top–Shade at the Touch of a Button! 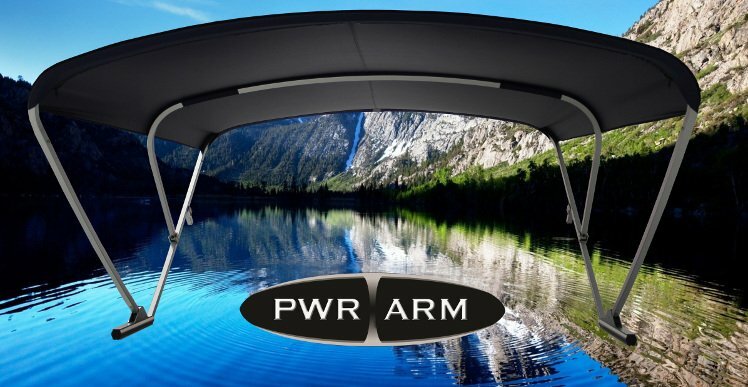 We also offer the PWR ARM II Bimini top! This easy, automatic option allows you to deploy and store your Bimini with the touch of a button. The PWR ARM II is available in a standard package that includes the frame, actuators, canvas with light cutout and storage boot, and helm –mounted toggle control switch. You can also order a deluxe package that includes all of the standard package plus a keychain remote and RF Receiver. 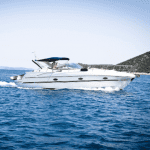 Taking care of your Bimini each time it is used will ensure that it will last a long time. 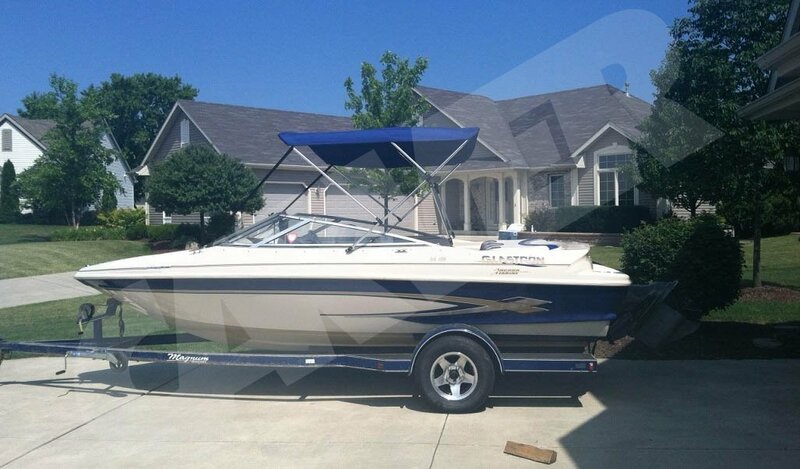 Should you need parts such as a replacement storage boot for square or round tubing tops or replacement canvas for square or round tops, give us a call at 1-866-626-8377 or visit the accessories section of our website at www.boatcoversdirect.com/products/accessories/. We are happy to help you!